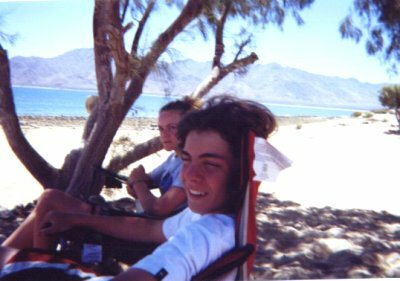 7-04 Bahia de los Angeles: Camp Gecko, La Gringa, Bahia las Animas. Our 4th of July weekend, 2004 vacation was great. Not because of any great desert discoveries, but because it was shared with good friends, and my two children, and we had perfect weather. We did visit Las Animas for the first time and will return there. 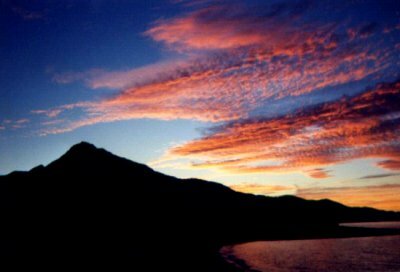 We were in Baja for five days. My son Chris and Bo's daughter Andee enjoying a shade tree at Camp Gecko. 4baja (Steve) relaxes on his quad. 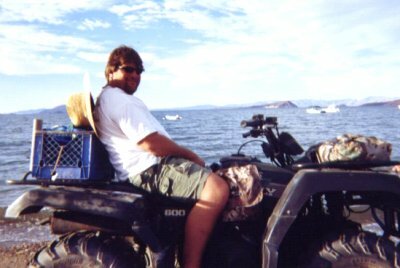 Most days that week Steve enjoyed great fishing. 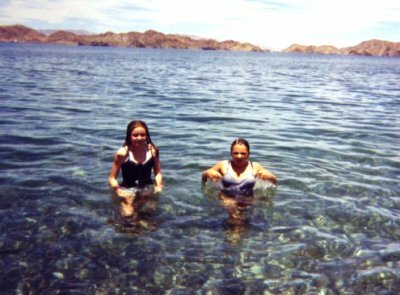 Andee and Sarah in the clear water at La Gringa. Smith Island is in the background. 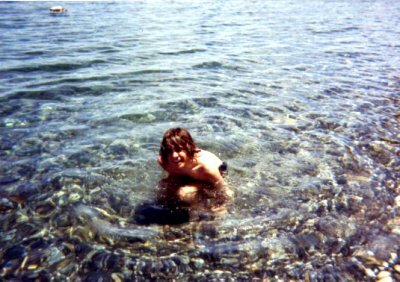 Chris was enjoying a dip at La Gringa.